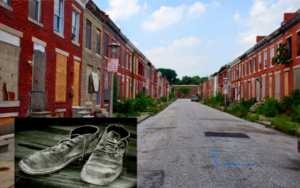 We discuss homelessness in Baltimore with James Crawford Jr. and Damien Haussling of the Homeless Speakers’ Bureau. The Homeless Speakers’ bureau is hosting a night of monologues next Wednesday night. For more information, visit facesofhomelessnessbmore.blogspot.in.